Who says you have to go far to get an adventure? 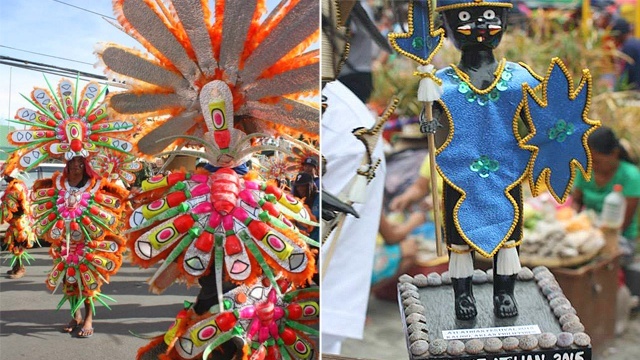 (SPOT.ph) There’s more to Rizal than its reputed dedication to art. With the Sierra Madre Mountain Ranges and Quezon to the east, Laguna de Bay to the southwest, and Bulacan to the north, Rizal has diverse cultural treasures and natural wonders that are waiting to be explored. The one-hour ride from Metro Manila to this place is well worth it as you unwind from the crowded Metro. 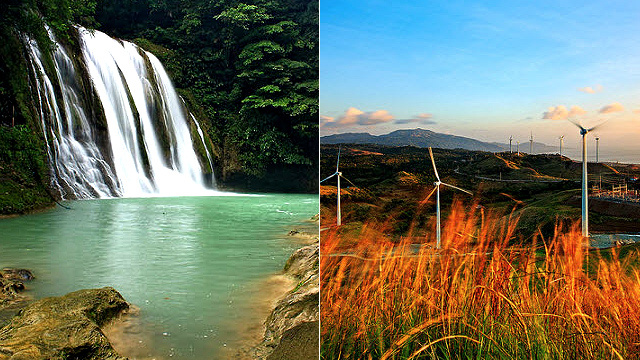 No need to go way up north to Bangui, Ilocos Norte to marvel over famous windmills. 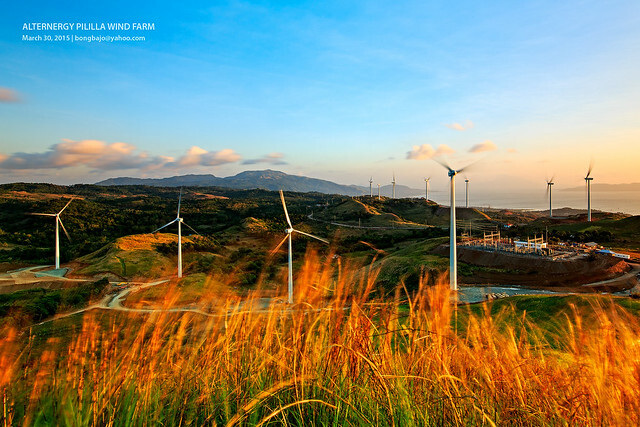 In Pililla, Rizal, 27 wind turbines are strategically scattered over the mountains overseeing the Laguna Lake. Producing approximately 54 megawatts, Pililla Wind Farm supplies renewable energy to neighboring areas. 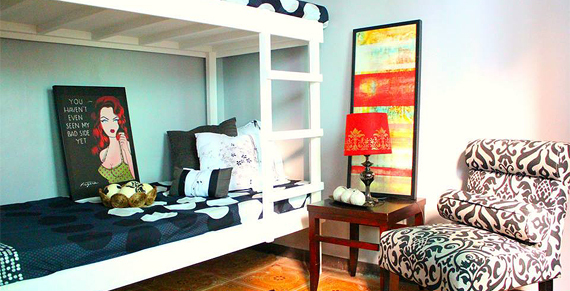 You'll love the dramatic backdrop and the fresh air that this place brings. Declared as a National Cultural Treasure and considered as one of the most endangered sites in the world, Angono-Binangonan Petroglyphs in Binangonan, Rizal houses some of the oldest known artwork in the Philippines. A total of 127 engraved figures that date back to the late Neolithic period can be found in the rear recesses of the cave. The rock engravings will give you a glimpse of how our early ancestors once lived. Looking for a relaxing getaway? 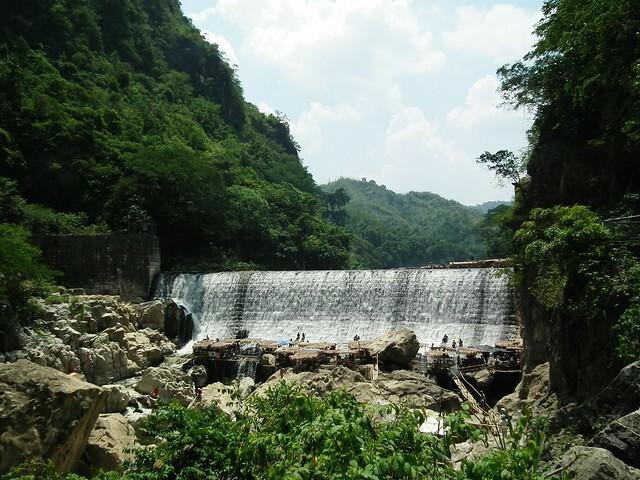 Visit this 14-meter high waterfall in Tanay, Rizal for a quick and refreshing dip. Nestled at the foot of the vegetation-rich Tanay mountain range, the falls are complemented by forest trees, flowering wild plants, as well as cascading rivers and ponds that will make you come back for more. 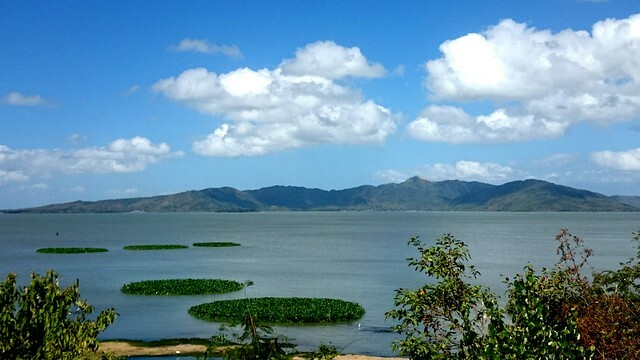 Located in Rodriguez, Rizal is one of the oldest dams in the Philippines. 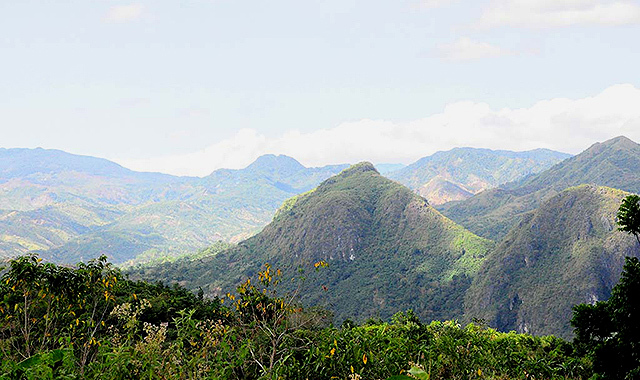 To arrive at this historical place, you have to pass through the Wawa Mountain which is known for the local legend named Bernardo Carpio—a mythological Hercules-like hero. While there, you can also try rock climbing, mountain climbing, and swimming. While this waterfall is less popular than others in the area, it still gives the relaxation and privacy that you need. Go up the 249-step trek to the 1,000-feet Palo Alto Falls and you'll see thick forest trees. Keep an eye out for a small stream with cold water cascading from a height of 60 feet into a wide concrete pool that drains into Laguna Lake. Hidden in the 200-hectare Palo Alto Leisure and Residential Estates in Baras, Rizal, its soothing scenery is of one of Rizal's best kept secrets. Mount Sinai provides a magnificent mixed view of urban and rural landscapes—the Sierra Madre, Laguna de Bay, together with Metro Manila sceneries. 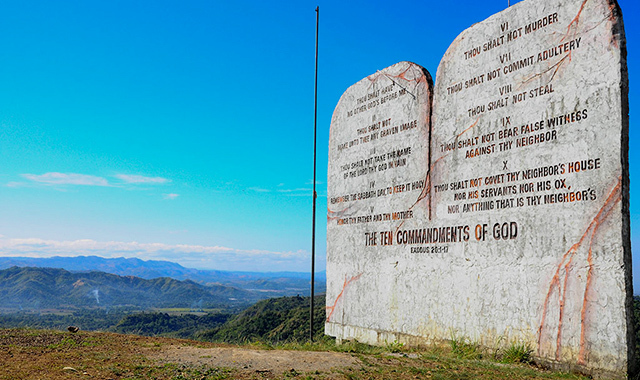 Currently, it holds the world record for having the largest structure of the 10 Commandments in the world. This is the perfect place to just chill, ponder, and taste the best mami and sayote pie in the Rizal province. Awarded as one of the cleanest rivers in the Philippines, this place will awe you with its majestic beauty. 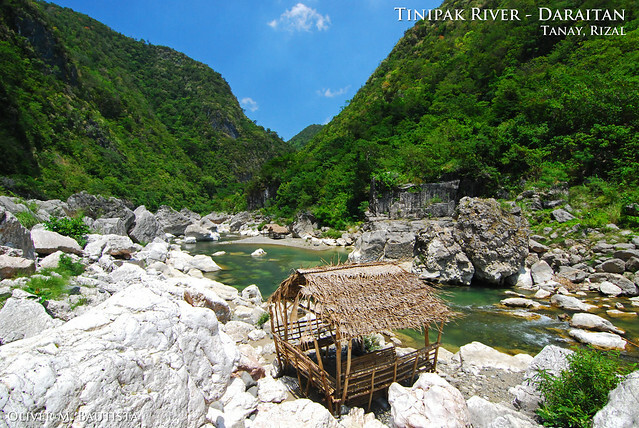 Situated in Tanay, Rizal, Daraitan River has naturally sculpted marble boulders called "Tinipak na Bato." 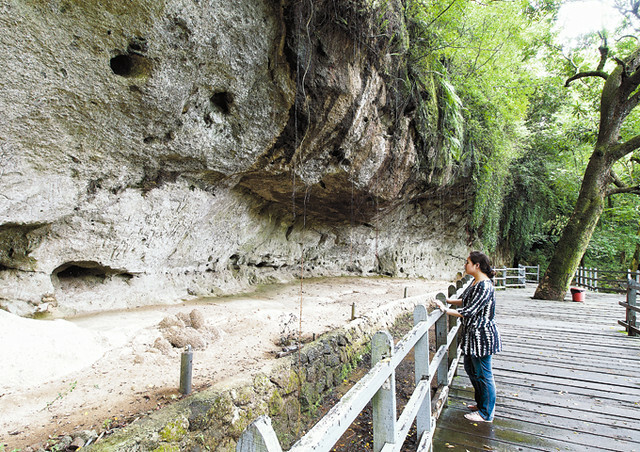 Using a small canoe, you can explore a cavern with an underwater river named Tinipak River and Cave. Found in Rodriguez, Rizal is Mt. Parawagan which is one of the most challenging yet scenic mountain trails in the country for its narrow streams, mixed forest trees, and green foliage. But the stunning balance between the natural view of La Mesa Dam Reservoir and faint skyline of Makati will definitely make the rough trek worthwhile. Be in awe and become one with nature as you delve into the beauty of caves and mountains of naturally sculpted limestone. 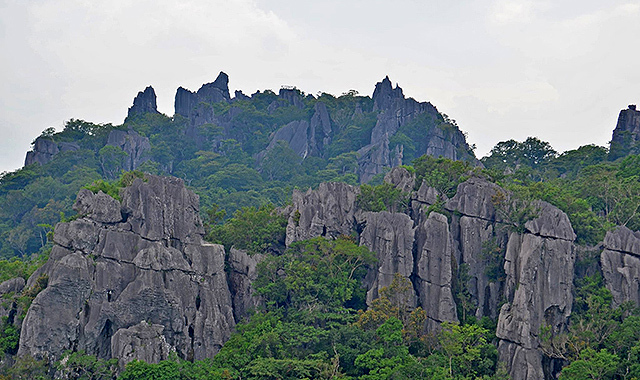 Masungi Georeserve got its name from the word masungki which means “spiked”—which describes the rock formation surrounding it. Whether you’re a regular hiker or not, you're sure to enjoy a three-to-four-hour trek (that you can shorten or prolong) going through bridges, high peaks and the rest of the terrain guided by a park ranger to tell you more about the place. Reward yourself at the air house and the cactus garden near the foot of the mountain to get the total experience.